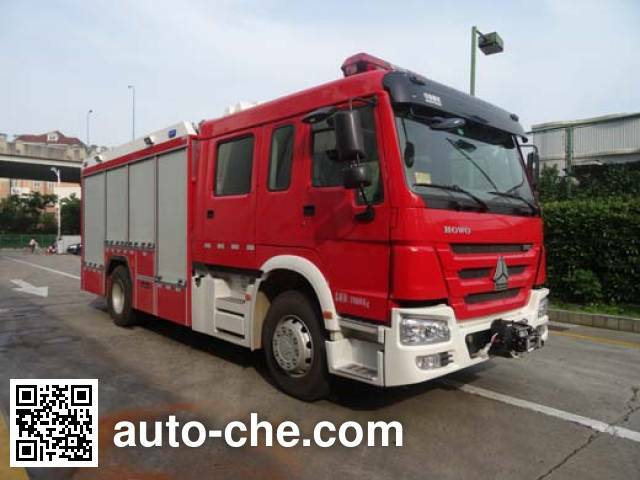 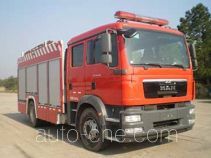 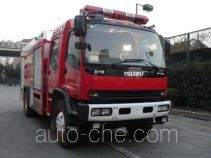 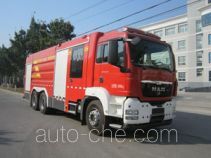 Yinhe class A foam fire engine BX5190GXFAP50/HW4 (batch #288) based on ZZ5207N4717D6 chassis is made in China by Shaanxi Yinhe Fire Technology Equipment Co., Ltd. 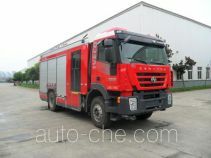 The company is located in Baoji, in Shaаnxi Province, China. 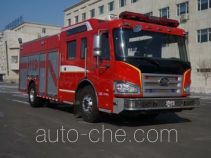 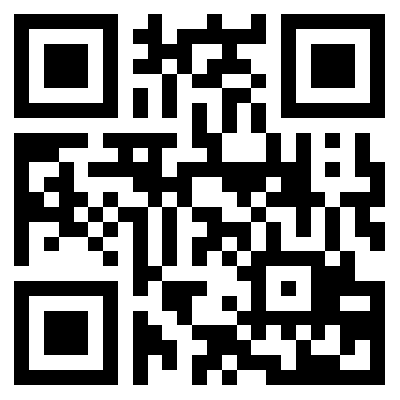 Manufacturer Shaanxi Yinhe Fire Technology Equipment Co., Ltd. 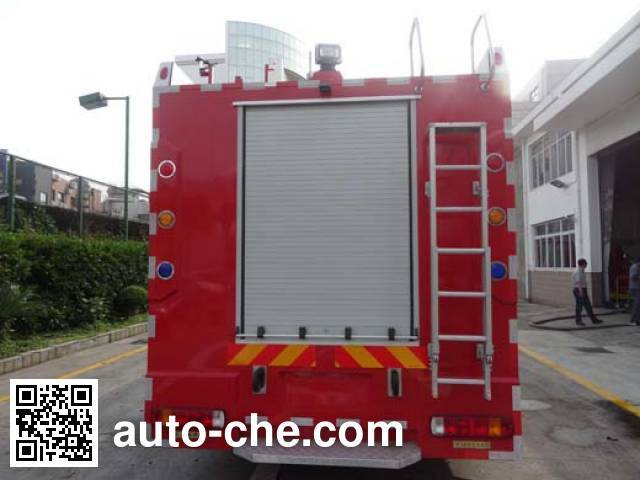 The total volume of 5.147 m3 tank, tank volume of 4.14 cubic meters, tank dimensions: 1865 × 1500 × 1550mm, Class B foam tank capacity of 0.706 m3, Class B foam tank size: 795 × 600 × 1550mm , a class a foam tank capacity of 0.301 m3, a class a foam tank size: 796 × 600 × 660mm, protrusion: 240 mm, extension: 50mm, monolithic lateral protective structure, after the protective ground clearance: 440mm . 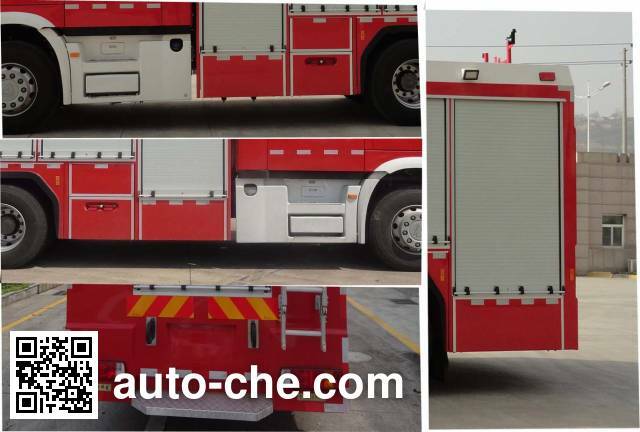 ABS system model 4460046300, producers of WABCO Vehicle Control Systems (China) Co., Ltd.